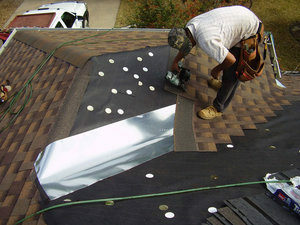 Installing a new roof on your Hutto property is something you’ll probably only have to do once or twice in your life. Most people don’t have experience in roof materials and hiring roof installation contractors, so its wise to be patient and do your homework. The Better Business Bureau warns homeowners that suffer damage from violent storms, high winds or hail, to not let disaster hit them twice. It’s a sad truth that fly-by-night scammers often move into the area after storms, along with many professional and reputable roofing contractors. Theses fly-by-nighters try to steal from as many people as possible, then head out of town without warning. Unless you need emergency repairs due to a sudden leak, be patient when you’re hiring a roofer. Doing your research ahead of time should translate into a quality job at a better value for property owners. Property owners should follow these important tips to guide them in finding a company that is reputable and can be trusted to protect their home and their investment. 1. 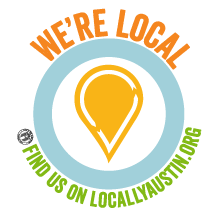 Get local referrals. There is much less chance for potential problems, or of being scammed, when you choose a roofing contractor from your local area. They’re more familiar with local rules and code regulations and should have relationships with local crews and suppliers. 3. Check the Better Business Bureau (BBB) ratings. Some contractors show up right after a monsoon storm trying to find work, so it’s very critical to look them up on the BBB website and be sure they have a good score. Stay far away from contractors who do not exist on BBB.org. Of course, there is no magic system for hiring the right contractor. To have us schedule a free, no-obligation consultation about your new roof, give Armadillo Roofing & Exteriors a call at (512) 333-7663.